Days will not remain the same like today. Do not speak highly of self. Do not speak ill of others. The best virtue is non-violence. Have faith in the scriptures of saint and great men. Give up everything that does not comply with the scriptures or conduct of great men. No enemy is greater than pride. eBook (PDF) edited version of the hindi translation of Sri Sri Sadguru Sanga (Part 2 - Vrindavan Leela of the Bengali Edition by Sri Kuladananda Brahmachari) translated by Sri Avinash Bhramachari is released. 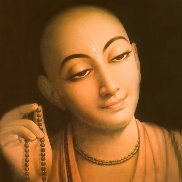 The original bengali book is based on the diary of Sri Kuladananda Brahmachari direct disciple and companion/attendant of Sri Sri Bijoy Krishna Goswami. Click for more details. Second Volume of Kannada Edition of Sri Sri Sadguru Sanga (Part 4 and 5 of the Bengali Edition by Sri Kuladananda Brahmachari) translated by Sri Kirtanacharya Lakshmandas Velankar is published and is available for Rs.400/-. The original bengali book is based on the diary of Sri Kuladananda Brahmachari direct disciple and companion/attendant of Sri Sri Bijoy Krishna Goswami. English edition of Shree Shree Bijokrishna Kathamrita (Shree Shree Bijokrishna - His Divine Life and Sermons) is released. Click for more details. A Hindi book based on life of Gosaiji "Divya Darshan - Sri Sri Bijoy Krishna Goswami - Vibhin Drishti-Kon Se" by Sri Sri Brajeswarananda Das (K.N.Pathak Baba) is released. Click for more details. English edition of Shree Shree Bijokrishna Parijan (Life of Main Disciples of Shree Shree Bijokrishna Goswami) in 2 parts will be available soon. Second Volume of English Edition of Sri Sri Sadguru Sanga (Part 4 and 5 of the Bengali Edition) by Sri Kuladananda Brahmachari is released. The original bengali book is based on the diary of Sri Kuladananda Brahmachari direct disciple and companion/attendant of Sri Sri Bijoy Krishna Goswami. Click for more details. 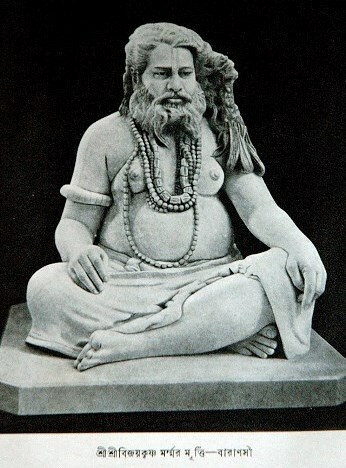 Kamandalu Nisangaye Tasmai Sri Brahmatmane Namah. 21 - What is Real Dharma and how can we achieve it? 22 - God - Can we see him? 24 - What is the aim of human life? Click to get a complete list of lectures and sermons. Click to view images and video of programs in past. Click on the image to visit Gosaiji's page on Facebook.